IPL 2019: Warner's daughter also waved for the cameras while on the vehicle. 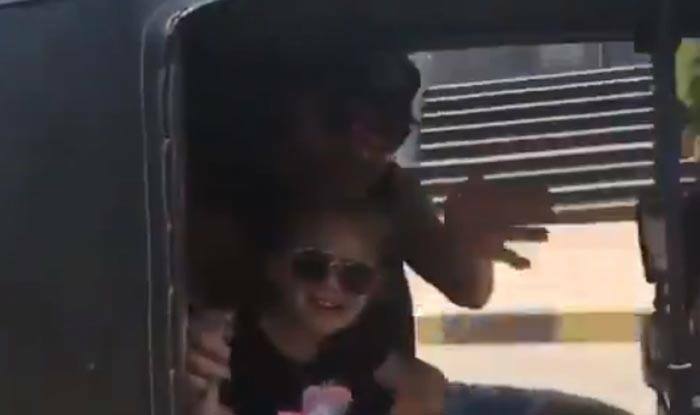 IPL 2019: David Warner and his kid enjoyed a day off in style as daddy Warner took his daughter and the two explored the city of Hyderabad on a rickshaw. Warner’s daughter was also spotted waving at the cameras as the father-daughter duo seemed to be in high spirits. Hyderabad has been mixed in the tournament as they have won a few games convincingly but were bowled out for less than 100 against ings XI Punjab and Mumbai Indians. Here is the video where you can see Warner and his daughter enjoying a rickshaw ride. Here is how Twitter reacted to the father-daughter duo’s act. Meanwhile, Warner personally has been in ominous form since his return to IPL after a gap of a year. Warner has already amassed 349 runs in six innings at an average of 87.25 and he has also hit a century in the tournament, thus far.